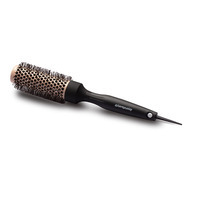 Featuring Special ceramic infused with Healing StoneTM and unique structure enables taming of the most unruly hair. This anti-static 32mm round brush has been made in Korea with the finest sustainable materials. 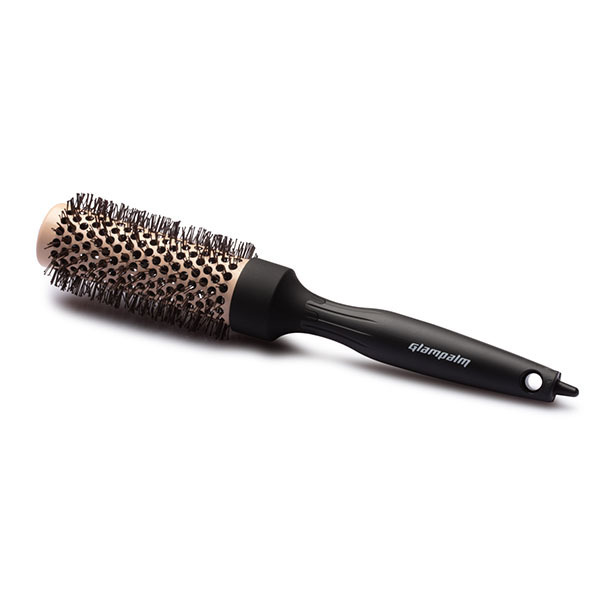 The GlamPalm Boar Bristle Blow Drying Round Brush is a superb tool that combines form, function and beautiful design - made to stand the test of time. 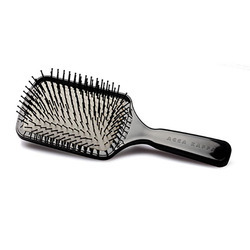 Ideal to medium and long hair for styling.